Every year thousands of families choose to complete their Camino journey together, walking some of the beautiful routes that lead to Santiago de Compostela. To celebrate Mother’s Day on March 26th we are giving you 10% off some of our most popular tours to share with your Mum. This special discount will be available for any Mother and daughter or Mother and Son booking between now and March 31st. Here are three family friendly routes to enjoy with your Mum this year. 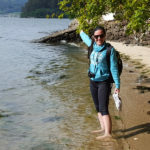 What better way to spend a few days walking then by the Atlantic sea….The coastal Camino is becoming popular and it is easy to understand why. In 7 days you have the chance to walk in some of the most beautiful terrain in Northern Spain. 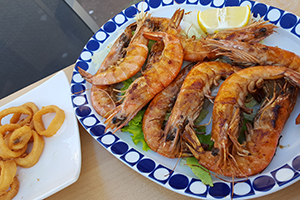 Start in the coastal town of Baiona with supper by the sea and finish with a celebration in the square outside the Cathedral of Santiago. Complete this route in 7 nights, walking 128kms. Don’t forget to collect your pilgrim certificate! This route will take you into the heart of Spanish culture. Stumble upon some of Northern Spain’s most delicious tapas on this stunning trail that takes you along the coast. 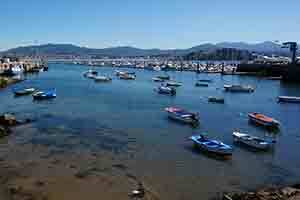 Start with a visit to the Guggenhaim museum in Bilbao and finish overlooking the bay in stunning Santander. This route can be completed in 6 nights and you will walk 112kms. Walking in Tuscany is something that everyone should try at least once. This route is perfect for the adventurous family looking for a bit of a challenge and fond of the tasty Italian cuisine. Start your walk in the walled town of Lucca and finish in Siena’s historic centre. 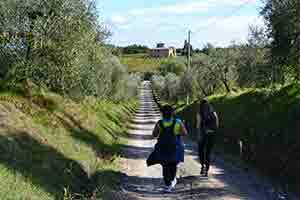 Collect your stamps along the way to tick the Via Francigena trail off your bucket-list. This route will take 7 nights to complete and you will walk 133kms. For more information on any of these routes or for more Mother’s Day travel ideas please contact one of our travel specialists. *Please note that discounts can only be applied to new bookings and cannot be included on trips already confirmed.